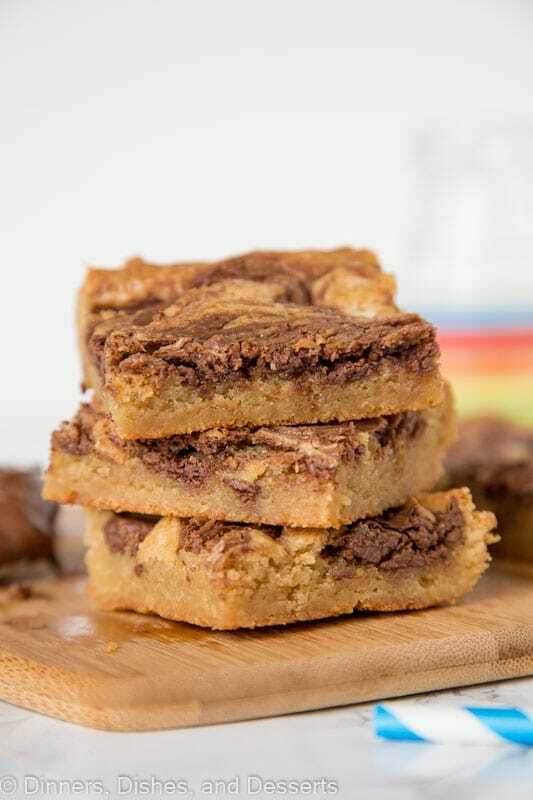 Nutella Swirl Blondies – Quick and easy blondies made in one bowl with a swirl of Nutella. All that buttery and brown sugar taste you love with an extra touch of chocolate. 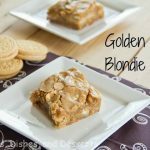 I never knew what blondies were until I started blogging. I grew up in a house where chocolate was the only dessert option. My dad liked chocolate chip cookies and fudgy brownies. 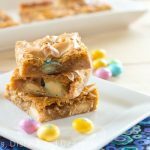 Every once in awhile we would have caramel layer bars, but that was rare. We had cake sometimes too. Chocolate sheet cake happened sometimes too. 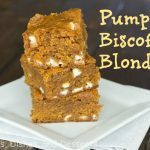 So when I started blogging and seeing blondie recipes all over the place, I knew I had to try it. My husband does not like chocolate, so I knew he would love them. And boy was I right! 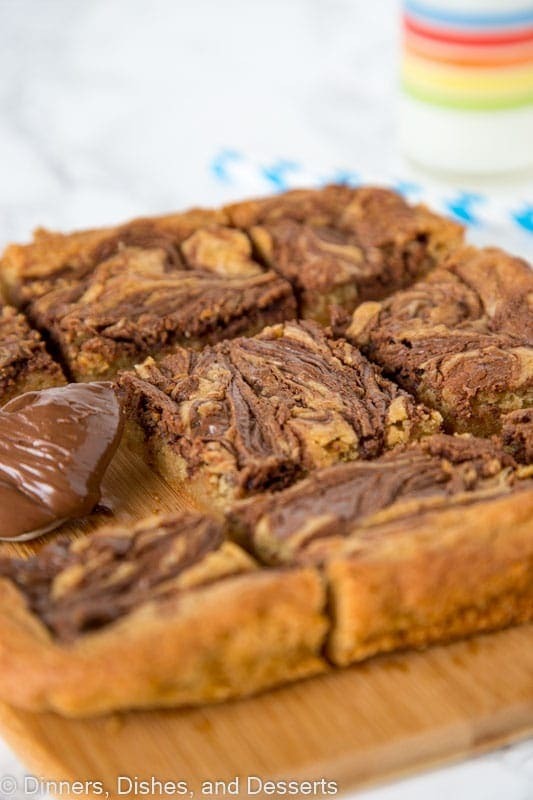 These Nutella Swirl Blondies are perfect for both of us. 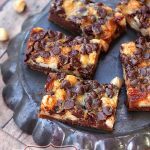 I get a little bit of chocolate, my husband gets buttery blondies! 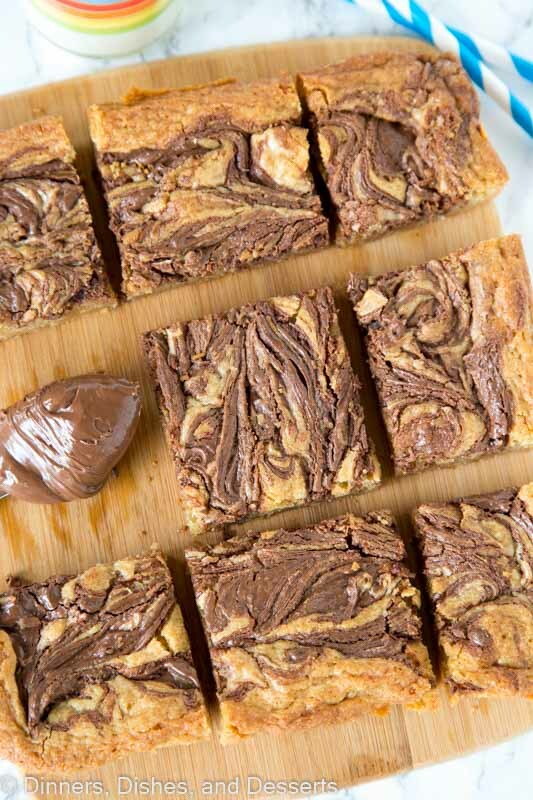 Nutella Swirl Blondies are one of the first recipes I shared when I started blogging. Today I am updating the pictures and sharing it with you again. 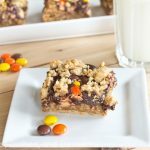 I have made quite a few Nutella recipes since, like Nutella Skillet Cookie . And I think you guys like it just as much as I do! 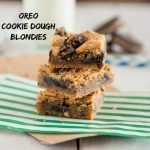 If you have never made blondies before, you need to change that fast! 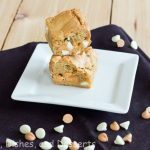 White Chocolate Butterscotch Blondies might be my husband’s favorite. They are so easy to make, they come together in just one bowl. No mixer required. Just a few staple ingredients. And you can mix in whatever your heart desires. 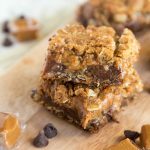 Buttery with brown sugar, and just pure yumminess! Want even more dessert bars to try? 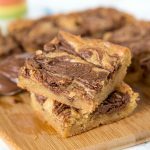 Nutella Swirl Blondies - Quick and easy blondies made in one bowl with a swirl of Nutella. All that buttery and brown sugar taste you love with an extra touch of chocolate. Blend the butter and brown sugar together until smooth. Add flour and salt, mix until combined. Pour the batter into the prepared pan. 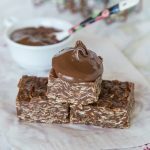 Drop teaspoonfuls of Nutella across the top of the batter. Use a knife to swirl the Nutella throughout the pan. Bake for 25 – 30 minutes or until it is set, and slightly browned. Allow to cool completely before cutting and serving. 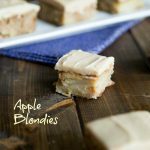 These look so simple and delish! My daughter LOVES Nutella…we will def. have to give these a try! Love the idea. Pining for later 🙂 Thank you so much ! These were absolutely delicious! My office is still raving about them. 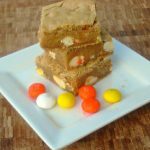 I do have one question – I had a hard time with the crust sticking to the upper layer of the bars. The two layers fell apart very easily. Any idea how I could fix this? Did you use a knife to swirl in the nutella well? Then it should mix together and not separate. 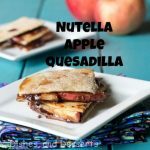 I have made these many times and have not had the Nutella come apart from the bars, so I think it must be swirling it well enough.